The Queen’s Head public house was purchased in April 2006 by members of the local community, to ensure a friendly heart to the village of Thurlton and surrounding areas. 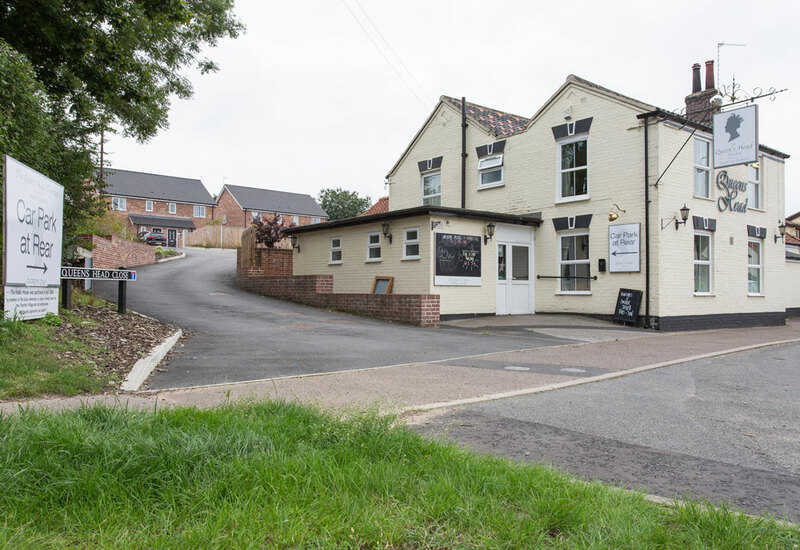 Investment was required to repair and refurbish the building in order that the pub was able to continue as a viable business and the hub of the village. Since the pub occupied a fairly large site, one option put forward was to redevelop or sell some of this land. The land consisted of a large external area to the rear of the pub which due to site levels was only being used as a car park for the pub. 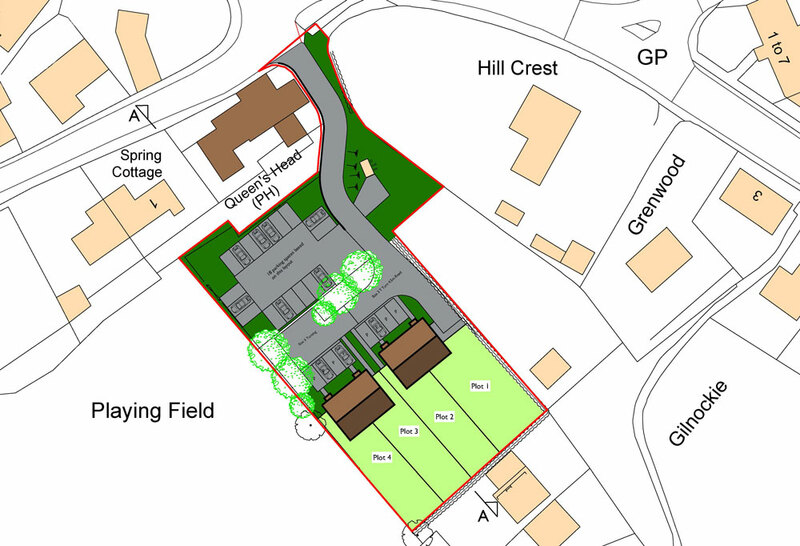 The access to the proposed site was already served by the driveway for the pub’s car park. Hence, this allowed the rear of the car park/site to be developed into four private dwellings each with private car parking. Reconfiguration of the site also allowed the pub to have a formally laid out car parking area, which was a vast improvement on what they had before. The idea of the development proved popular with locals and over 500 letters of support for the scheme were received by the local council. The new houses were quick to be sold raising funds to enable the pub to remain in the village as an important focal point for the community.